Though frequently a target of derision, the Louisiana courts actually have churned out some interesting non-compete decisions of late. The latest construed a fairly typical no-hire clause, a covenant generally barring employees from soliciting co-workers for a period of time after termination. Courts have been all over the map with respect to these types of covenants. One example is Missouri, where an appellate court held that such covenants were invalid as a matter of law because they did not support a recognized business interest, namely that of maintaining a stable workforce. The legislature acted expeditiously to overturn that decision. Illinois, by way of example, is all over the board on these types of covenants. In CDI v. Hough, the Court of Appeal had occasion to apply a no-hire clause to an amended statute of general applicability governing non-compete agreements. The employee contended it was an invalid restraint under the statute; the employer felt the statute was not applicable by its terms to a no-hire clause. The employer came out ahead and was able to enforce the covenant. 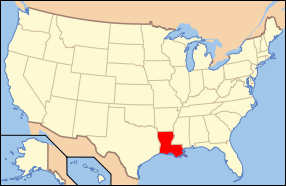 Louisiana's statute generally prohibits contracts "by which anyone is restrained from exercising a lawful profession, trade or business of any kind." There are exceptions for reasonable non-competes, but those aren't relevant here. The italicized language is the key to analyzing a no-hire. According to the court, a no-hire clause does not prevent anyone from exercising a lawful profession. It merely places a restriction on who that individual can solicit to join him. Though the dissent disagreed, the wording of the statute seemingly does not apply at all to no-hire clauses, which are generally the least troubling type of employment covenant (according to most courts, at least).